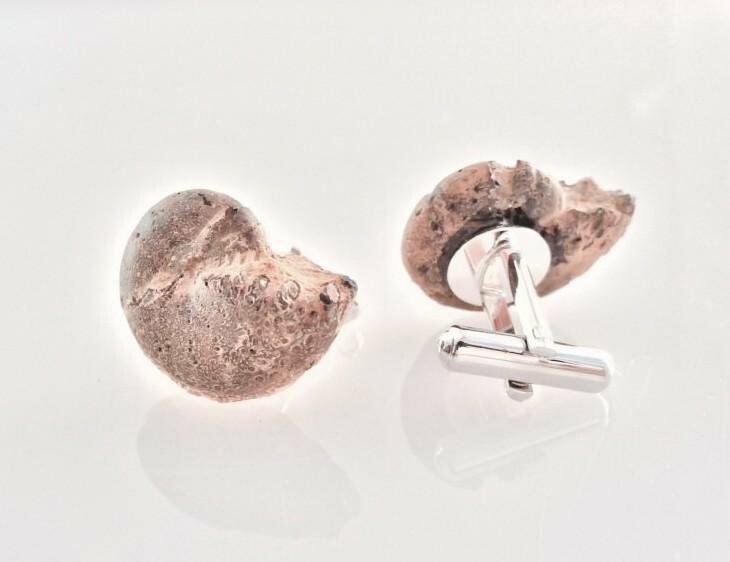 We have finished cuffs with ammonite fossils from Madagascar. It is a fossil of more than 100 million years ago. It makes me think of ancient times · · Every time I see a cuff of a shirt, it will entertain me. It is very hard, but on the upper part of one fossil, when seen from the front round form Since there are some chips, please refer to the pictures after checking. size: 2.3 x 1.9 cm and 2.2 x 1.7 cm ☆ If you would like gift wrapping, letter pack plus, Yamato Takkyubin, Yu-pack Please choose one (for thickness limit of the box) ☆ ☆ If you are concerned about accidents during delivery, delivery with guarantee Delivery method: Yamato Takkyubin or Please select a Yu-Pack. Copy right 2015 - Sae + Sumi Koru all right reserved. All works are protected by copyright law.